After a much needed two week holiday I’ve come back to an overwhelming amount of news from the virtualisation arena and in particular the announcement of VMware vSphere 5. Having been on the beta for vSphere 5 and vCloud 1.5 I had a feeling the announcement was due to happen while I was away but due to only having got onto the vSphere 5 beta late and only having played with it indirectly via the vCloud 1.5 beta I felt it was better to let some of the more informed bloggers out there do a better job than I could. First on my list is one that even after over two weeks of letting it set in I’m still excited about like a child on Christmas day. On the 1st if this month the VMware vExpert recipient emails went out and I was selected as one. I did a blog posting all about my honour at being selected here if you’re interested and as mentioned on that posting if you want to see all the other recipients and their blogs so as to follow them (which i would HIGHLY recommend as they are pretty much the best ones) and their twitter handles to also follow them then Arnim van Lieshout’s vExpert page is where you can find all these. If plans go ahead I’m hoping I’ll have a very exciting new feature to mention very soon off of this so keep your eyes out for it as it’s something I truly believe in and is something close to my heart. Next is the release of vSphere 5. As you can imagine there is a STAGGERING amount of information about it and I was planning on doing a list of all the best resources but as is the case someone has beaten me to it and seeing as it’s the list I’m currently using to get myself up to speed on it all it only makes sense to link to it. So if you’re like me and are currently trying to catch up on it all then Eric Siebert’s vSphere 5 Links is the best place to go. Next also from Scott is the upgrading of your VCAP4 to VCP5 and VCAP5-DCA. Personally this is most likely the path I’m going to follow seeing as I hope to have my VCAP4 and seeing as it will allow me to get the VCP5 at the same time as my VCAP5-DCA makes the most sense for me. Then the big question “Is it worth doing vSphere 4 certifications?” . Scott gives some great things to think about and it does come down to the answer of “it depends” as obviously people are at different points of their knowledge and studies. Kendrick Coleman has done a great posting all about how to set up your SQL server DB for use with vCloud Director 1.5 now that support for SQL DB instances is available. Having had to fiddle with this myself during the beta to get my test environment working I can assure you his steps are really helpful in making sure you do it correctly in the first place as i had to rebuild me whole one due to a simple mistake with the DB and making sure you select the right collation is REALLY important. Next is a competition run by Greg W Stuart for the chance to win a Free Conference Pass to VMworld 2011 in Las Vegas, Air Fare and 5 Nights Hotel Accommodation. Greg won his way to VMworld last year via Jason Boche’s contest and from this he’s embraced blogging and the community so much he was awarded by becoming a VMware vExpert for 2011. So get your comment submitted as it finished THIS SUNDAY JULY 24th and good luck. Next is a friendly reminder for those of us going to VMworld to register for the sessions you want to attend as unlike in previous years VMware are enforcing session registration and if you don’t register and the session is full then you wont get in. Simon Gallagher has blogged all about this here. 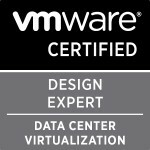 Categories: Certifications, Virtualisation | Tags: VCAP, VCAP-DCA, VCAP-DCD, VCAP4 to VCP5, vCloud Director 1.5 SQL installation, VCP, VCP4 to VCP5, VCP5, vExpert, vExpert 2011, Virtualisation, virtualization, VMworld 2011, vSphere 5, vSphere 5.0 | Permalink.